Rugrats are going Splaat! Arlene Klasky, the co-creator of the 13-year hit Nickelodion cartoon, Rugrats, stopped by the Art + Design Resource Center booth (C15) yesterday to talk about her new project. Joining us with brand manager Megan Pearson, Arlene gave us a little sneak peak into her new property in development, Splaat! All I can say is it’s great fun…and totally different. Now I’m a two-time fan! American Posterity encompasses three very unique and different intellectual properties being launched at the Licensing Expo. The patented Interchangeable Stimulation Device is a system of cognitively stimulating panels that adhere to any baby or child carrying device. As a child ages the panels can be changed out to new age-appropriate designs. 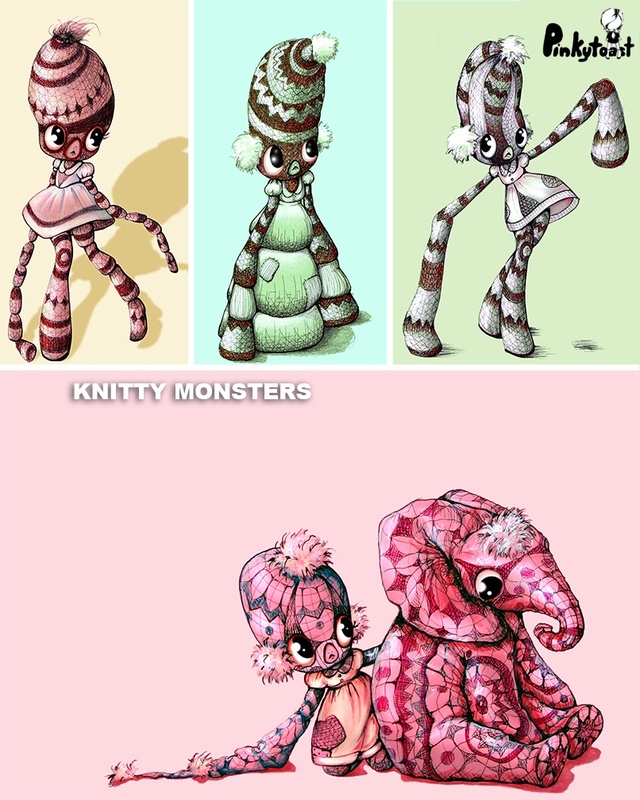 Zini & Friends is a character set that grows along with their kid buddies, morphing as they grow. On the younger side, each character is associated with a different shape, type of music, and language. As they grow, a different occupation, sport and learning style is associated with each character. Lastly, Chimpadoo is a character set that teaches sign language through everyday, hands-on applications, using sign images for things like bibs, plates, and bottles. Developed by Macey Schoen, you can check them all out at Booth E14. 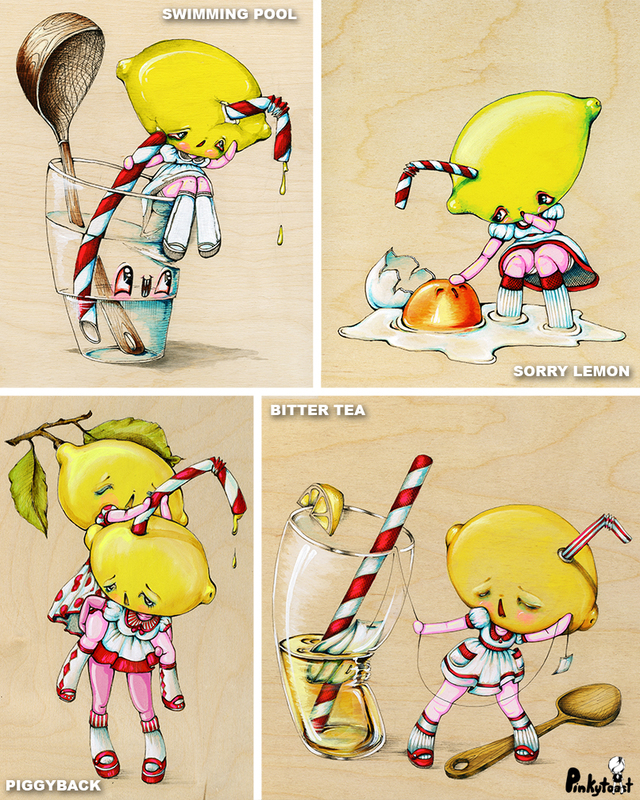 Suzanne Cruise Creative Services Inc. Art Licensing has been coming to Licensing Expo as long as I have! After 20 years pf offering creative art licensing services to artists, Cruise represents 30 individual artists. 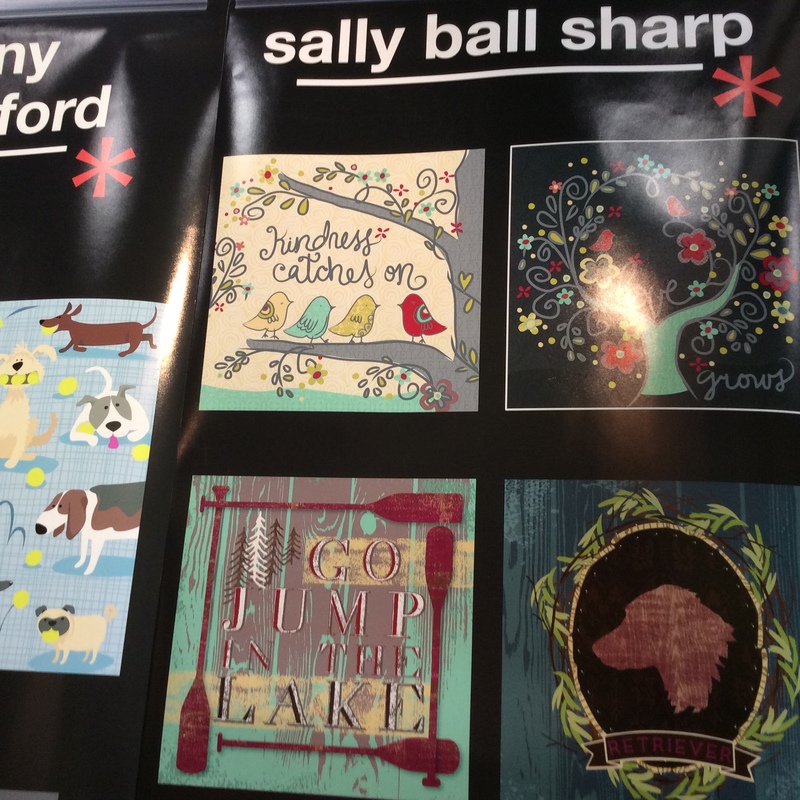 The agency’s newest property, Sally Ball Sharp, has been very well received as a new and super versatile artist. A few other artists of note represented by Suzanne Cruise is Victoria Hutto, Gail Flores, and Lynnea Washburn. 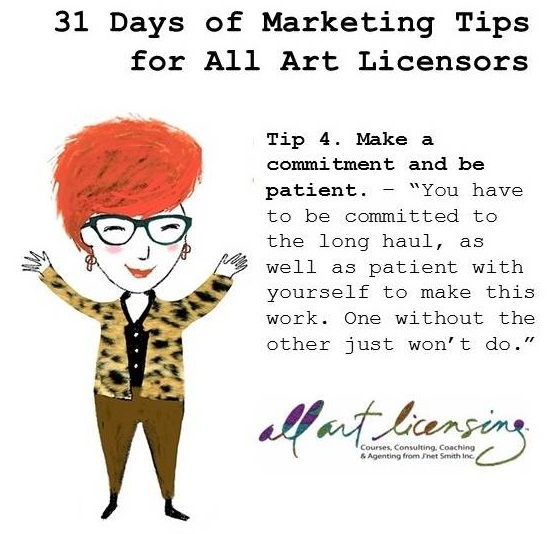 And to round out today’s experience at the Licensing Expo, I am bringing you some details from two agencies that specialize in art licensing, including the interview below with Pam Goldwasser. If you want to learn more about big art licensing brands and dollars, make sure you don’t miss listening to this interview. Representing several artists, Buffalo Works is one of the busiest booths in the art+design zone. According to Pam Goldwasser, of The Buffalo Works, “We’ve had a lot of interest for the art of Jim Shore, DiPaolo and Robin Davis.” Categories for licensees have included home décor, such as pillows and wall art, as well as housewares, traditional giftware and stationery. The products, featuring the art from The Buffalo Works artists’, are sold across all channels of distribution from high-end, exclusive stores, to specialty and mass market retail outlets. “This year’s show is evidence of what Totemic is all about. We’ve been approached by licensees for our artists who have retail connections for niche, boutique-like products only. They want anything that other places can’t or won’t offer,” Juaquim Burch said. Recently acquiring the Tony Curtis brand, Totemic will use its long-range brand building to educate and communicate the full story of the legendary star and his exceptional art as they begin the licensing process for the brand. In addition to the Tony Curtis line, highly visible offerings from Totemic are the work of Develter, specifically his Chin collection, as well as Utopic Joe, and its core art brand for Laurel Burch, which have all been approached for international representation. Sheila Meehan has taken on a new property that is very much ‘Art+Design’ but has a bit of a different twist. It’s incredibly unique with it’s’ quirky combination of sweetness and goth. In this interview, we discuss how an agent can grow a new tween/teen property through retail testing and exposure. 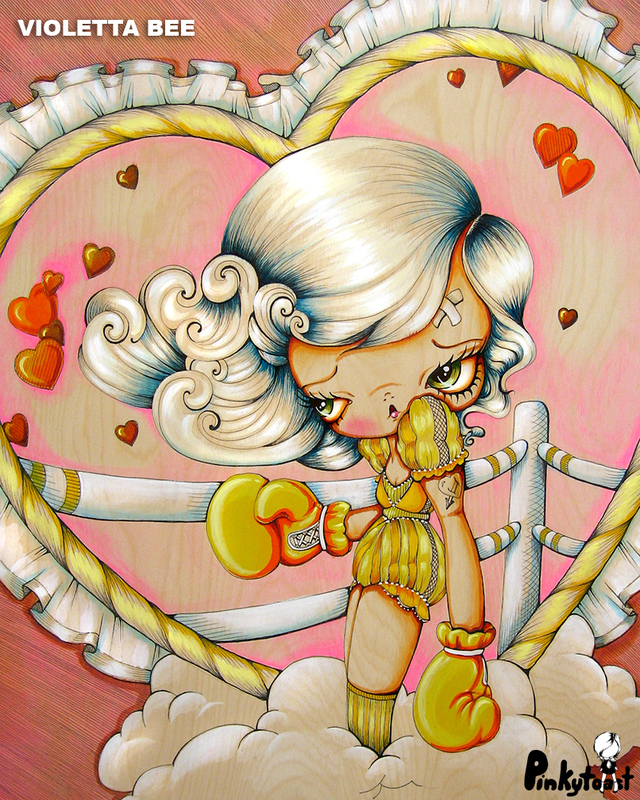 I think Pinkytoast is a great example of fine art and exceptional design, while also demonstrating how two unrelated themes — wide-eyed dolls/pin-ups & edgy goth themes–can create a new ‘knock-out’ genre. In the last installment of this 2-Part Agent Series, I covered 5 Tips for Finding the Right Licensing Agent. For those of you who have pursued an agent before, you know the feeling. You work hard to find those that are a fit for you personally, and your art style, as well as those that like your work. Then you pitch, pitch, pitch…and then wait, wait, wait for responses. Do you feel tinges of a second grade playground here? All agents have different skill sets, work ethics, and internal procedures to get the job done. But regardless, when you have found an agent and made the commitment, the big question is: “What’s next?” You now have a licensing expert on your team, however, it can still be a mystery as to what you should expect from them and what they will be expecting from you. o Developing sales leads and following up. o Sharing updates and/or progress reports. o Legal and contract negotiations (including signing and record keeping). o Approvals (hi-res file delivery, art approvals, sample distribution, etc.). o Accounting (when will you get paid). Primary (or often called cornerstone) property categories. Sales Plan – a rough idea of how you will be marketed to manufacturers, including a time line of Trade Shows and other sales efforts to achieve the goals. When and under what circumstances will you interact with the manufacturers? How much of your existing portfolio will they be marketing? What do they need from you monthly, quarterly or annually in terms of art and/or collections? What other questions do you have that need answering? Develop collections on a regular basis and be prepared to develop new items for key trade events (such as AmericasMart, Surtex and International Licensing Expo). Agents will need ‘sell sheets’ for various collections, customized presentations–on occasion—and materials for trade shows and direct mail campaigns. If you don’t already develop product mock-ups and presentations, then get prepared to make these for your agent. If the agent is preparing them for you, then you’ll need to understand exactly how and by whom they will be created so you can approve the materials. Actually creating collections, which are marketed to manufacturers, is ‘creating spec’ work. In this industry you can expect to do more than that. There are times your agent will specifically ask you to adapt a design for a manufacturer, or ask if you are interested in creating something original for one. Neither of these scenarios may include a guarantee of a licensing deal; but to have the potential of a deal, you need to do the work. Your agent will probably be a good judge of how often you should do this and request it when those opportunities have the best potential to result in a licensing deal. And if you don’t get a deal, just put the work in your portfolio and don’t forget to ask your agent where else they might be able to sell it. 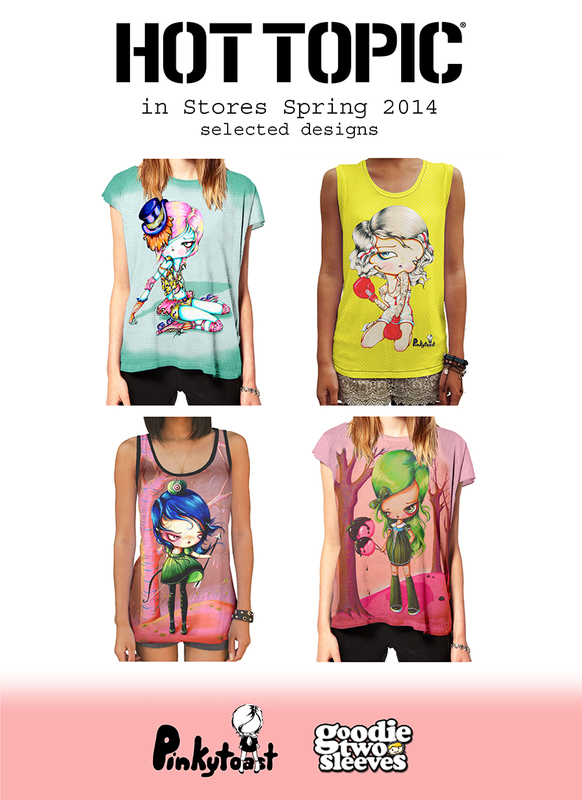 Create your own art licensing web site and keep it updated. If you don’t have one, get a headshot taken by a professional photographer. Be sure to talk to your agent about what and how much of your work they will include on their website, and where they will link to yours. Also discuss how they can be integrated together, rather than being a duplication of information. Some agents don’t have an extensive website, but list their artists and simply link to their sites. 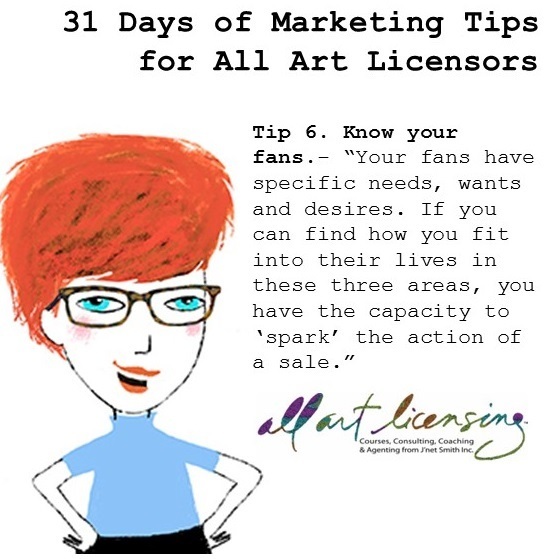 Art licensing is a commercial business. Agents and manufacturers alike will require you to meet their deadlines and be consistent about this. Remember that your agent is probably getting squeezed by the manufacturer who is getting squeezed by production deadlines or a retailer. So don’t make commitments you can’t keep and keep commitments you make. If you don’t do this; it’s probably not a good industry for you and manufacturers probably won’t come back. Once you have deals, keep the momentum by staying on top of approvals and getting back to everyone in a timely manner. In any business relationship there are two sides to every story, and tasks to be accomplished on both ends to achieve the desired goals. You want to communicate with your agent as often as is required, and not hound them. But clearly you shouldn’t be left in the dark either. No communication is not a good sign. So what can you expect from your agent? To be informed, to be marketed, and to be licensed to the best of their abilities. If you don’t believe this is happening, then start a dialogue to find out what is going on. If you have a terrific agent with great expertise, please don’t take them for granted. Make sure you celebrate their successes and keep them happy and updated on new ideas and places you can go together while building your business and brand. (Note: Who loves their agent? I’d love you to share.) Learning how to get the most out of your business partners, IS YOUR BUSINESS.